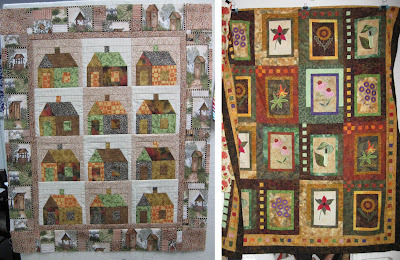 Fiber Antics by Veronica: My Fabric Rep Trek: Sewing Machines Etc. 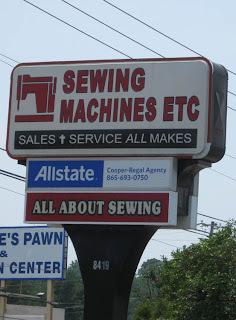 Step beneath the awning and walk through the door of Sewing Machines Etc. 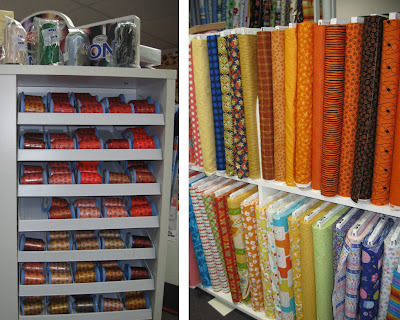 and feast on several rooms of textile goodness that every quilter, embroiderer and sewing enthusiast could want. 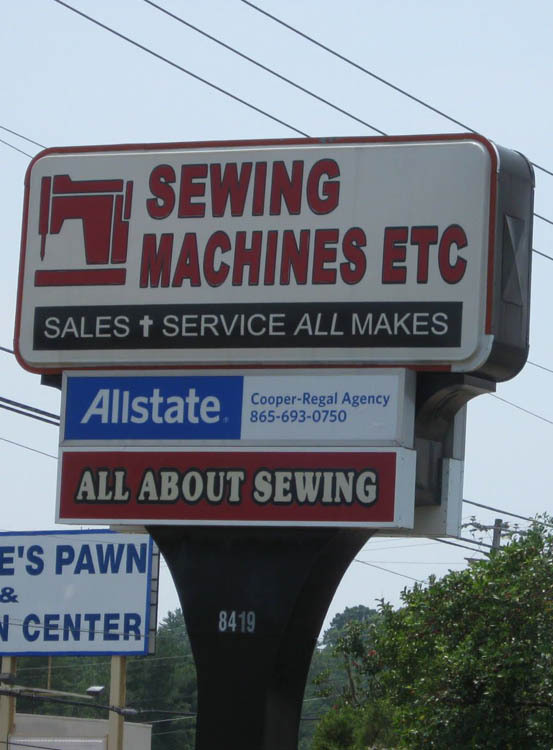 Located on Kingston Pike in Knoxville, Tennessee, Sewing Machines Etc. 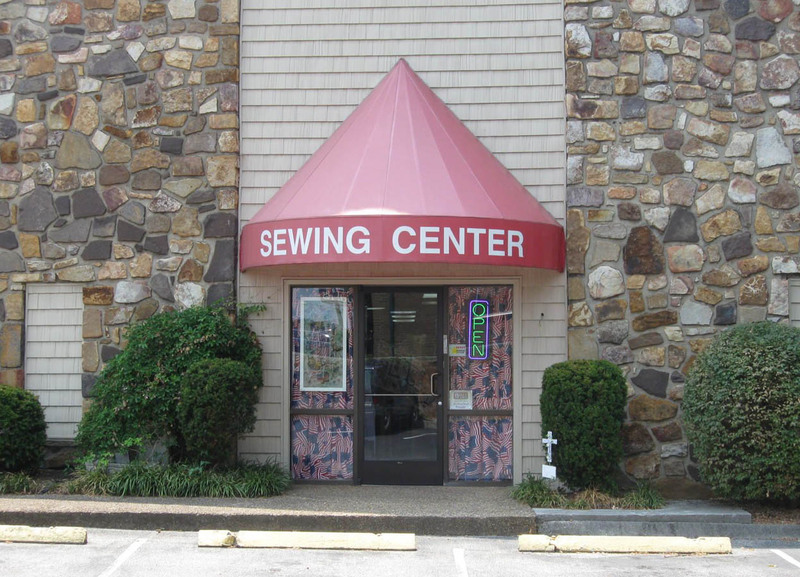 has been around for over 28 years and carries sewing machines and accessories—large and small— and walls of fabrics, notions and plenty of eye candy and inspiration. Threads and Skidoodles fabric prints. 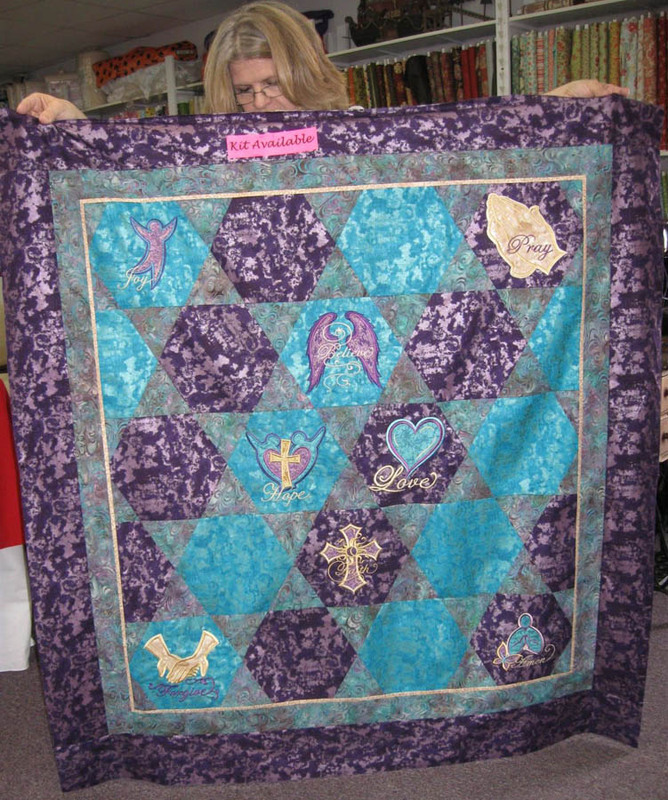 and kits for quilts of all sizes, colors and themes. 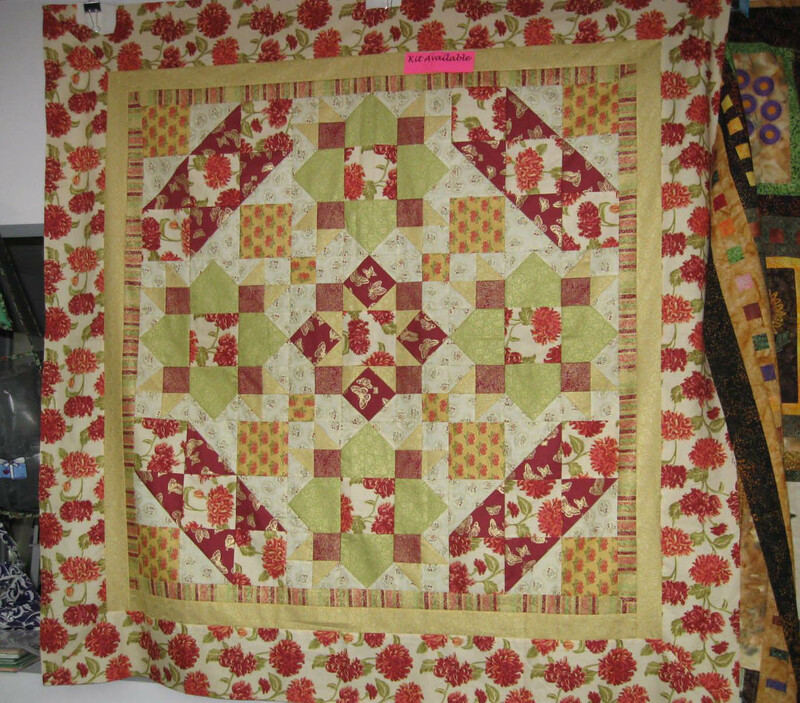 You can learn paper piecing and other quilting techniques through classes, Block of the Month programs and kits and patterns for sampler quilts. 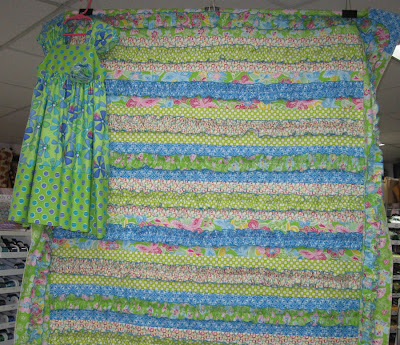 I had to smile at the border fabric on the house quilt. It has out houses on it. Left: paper pieced house blocks are surrounded by a border print of "out houses." 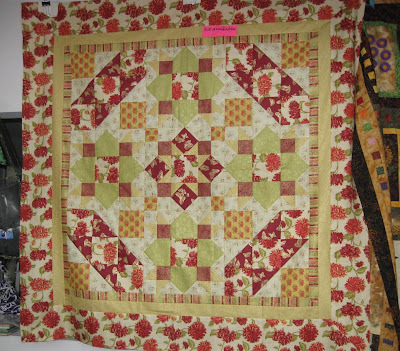 Right: an appliqué and embroidered sampler quilt. This quilt showcases embroidery designs that can be created with their line of Pfaff computerized sewing and embroidery machines. Gayla with an embroidered quilt. During my visit, Gayla, the shop owner, was telling me how wonderful Blank Quilting's Rock Candy line of blenders is for embroidery designs. The stitches are sharp, crisp and even and the fabric works like a dream with their embroidery machines. 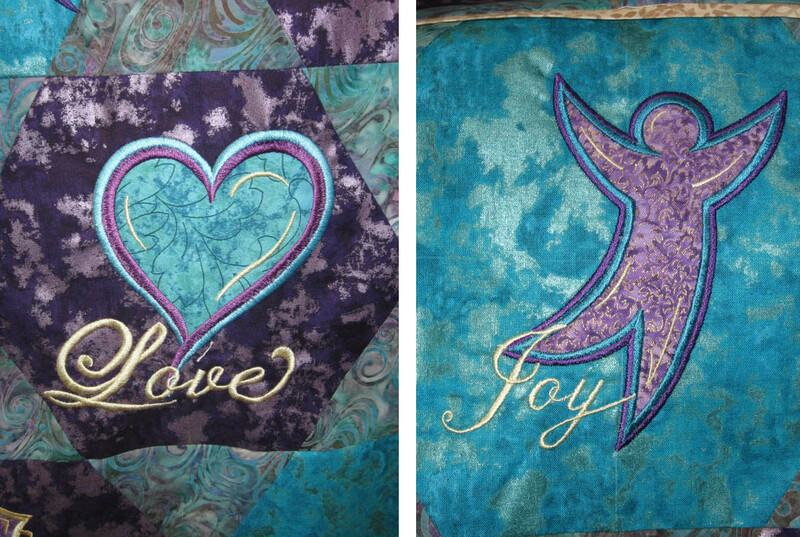 Detail of embroidered designs on Rock Candy fabric. 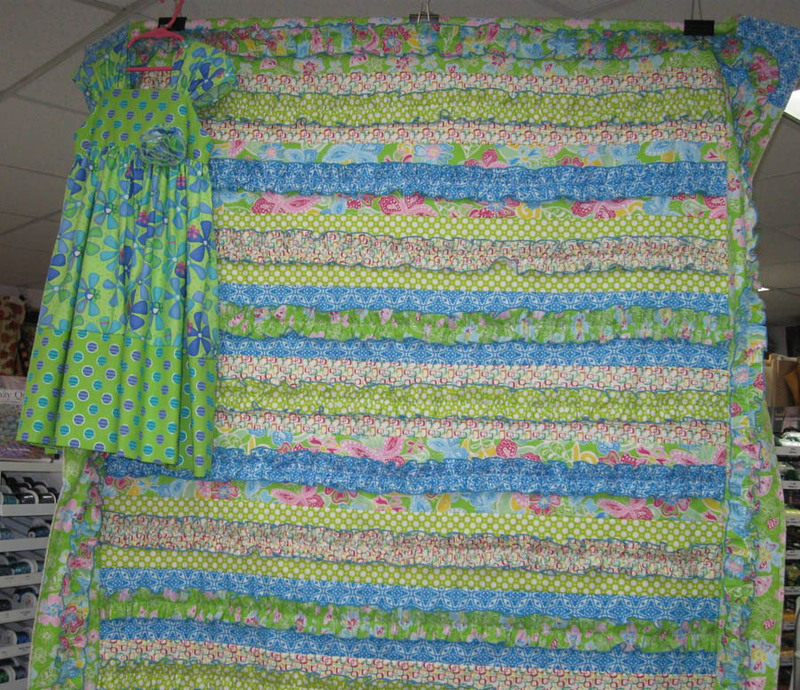 An adorable little girl's dress complements the ruffled quilt. Pick up a package of Fabrications pre-cut strips and "ruffle up" some quilting and sewing projects of your own. 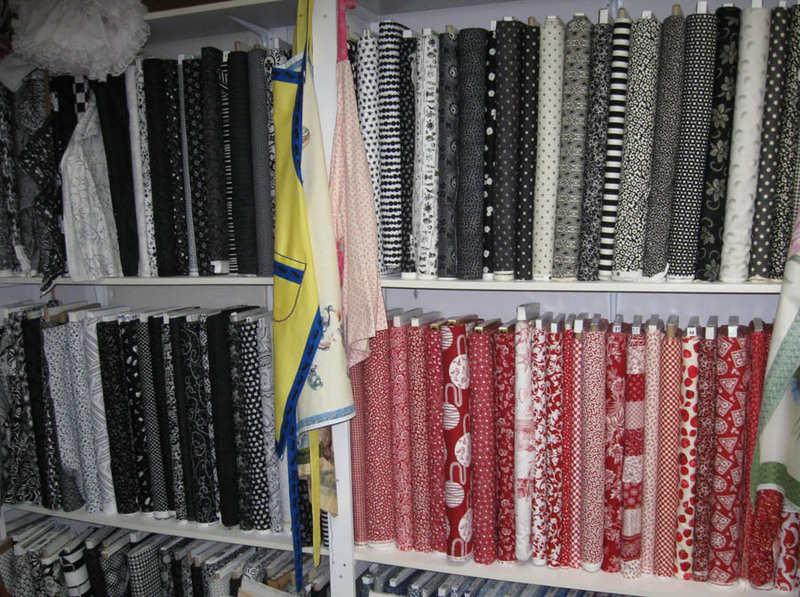 With over 5000 bolts, the fabric collection at Sewing Machines Etc. is extensive! 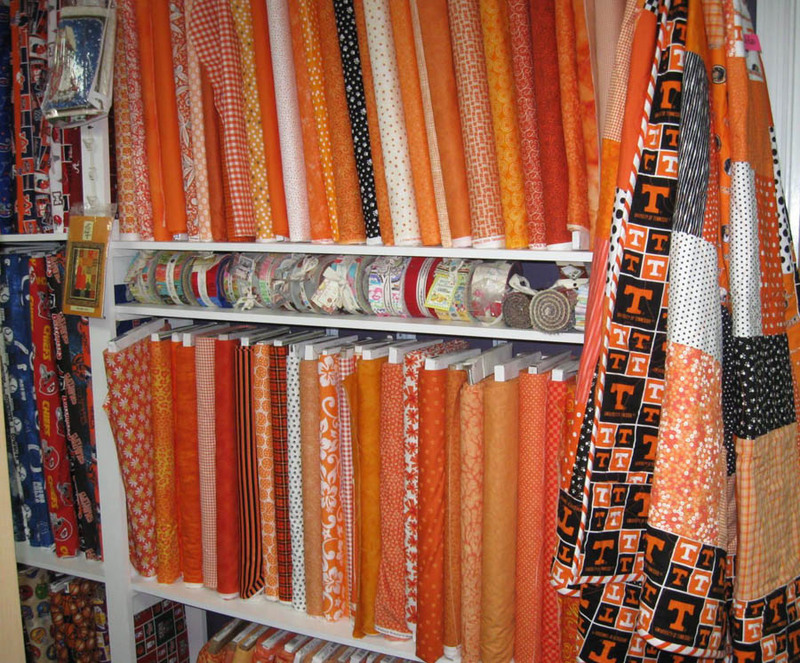 And, if you're looking for "Tennessee orange" or colors for your favorite sports team, there are shelves of fabrics devoted specifically to this! Bridgette, Gayla's daughter, said that the area sports fanatics are very particular about the correct shades of orange and red that represent their favorite team. 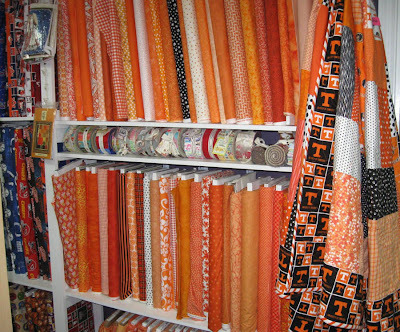 For the sports fans: Tennessee orange fabrics. 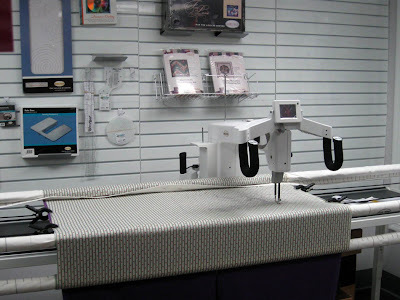 A Baby Lock long arm quilting machine is part of their Baby Lock sewing machine line. I walked into the room with the long arm quilting machine and saw some familiar faces. Quilting and sewing celebrities, Eleanor Burns and Nancy Zieman, were also on hand at the store. They smiled for the camera. 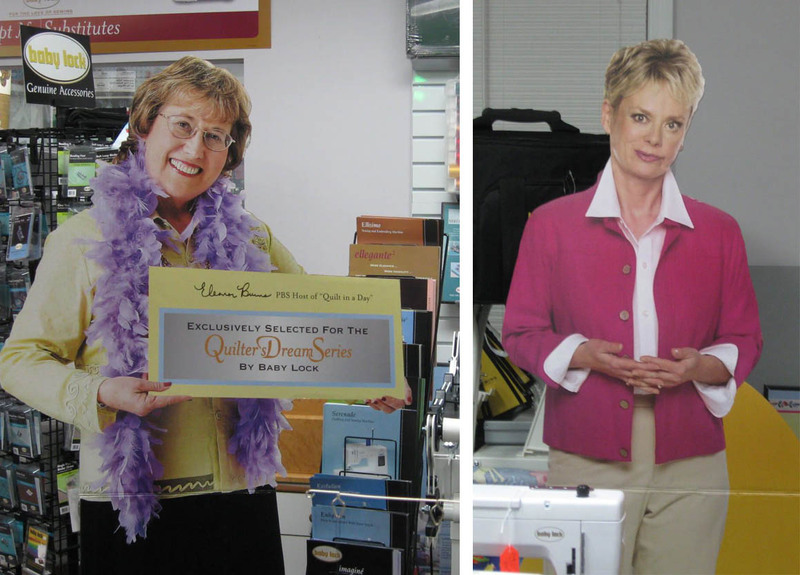 Quilting and sewing celebrities, Eleanor Burns (left) and Nancy Zieman. Here is their sign from the street. Turn at the sign into the parking lot and you'll see the red awning on your left. 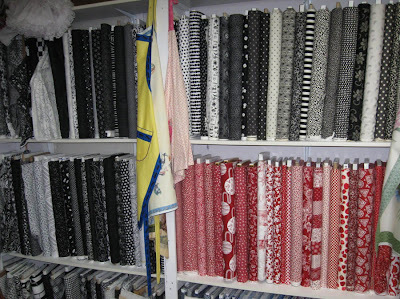 Get ready for a color, pattern and fabric experience.